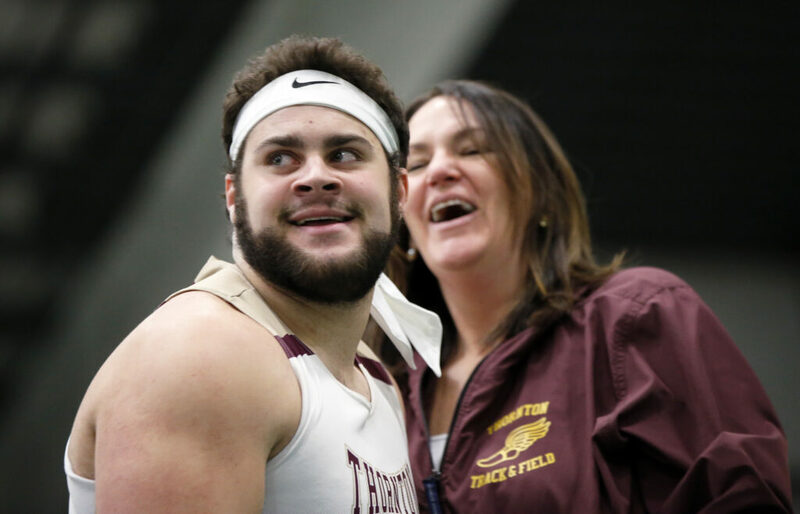 None were older than a 1977 shot put mark surpassed by Jason Montano of Thornton Academy. 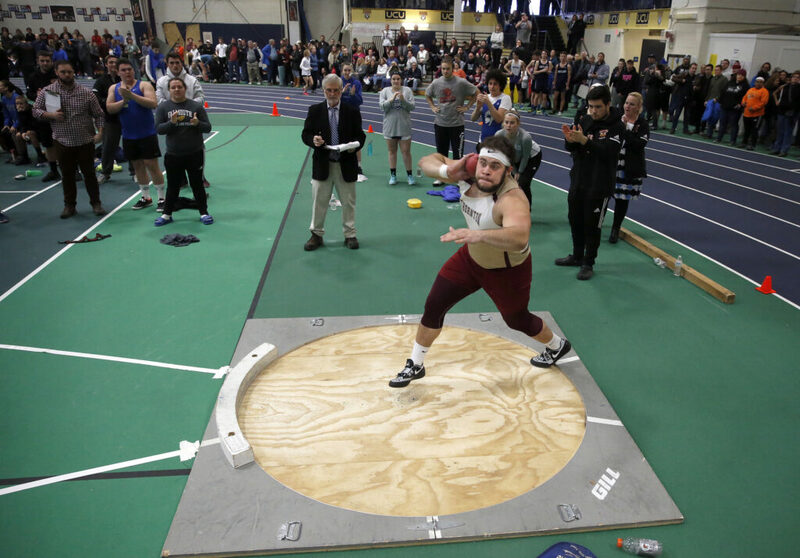 GORHAM — Before entering the shot put circle, Jason Montano raised his arms about his head and clapped slowly once, twice. 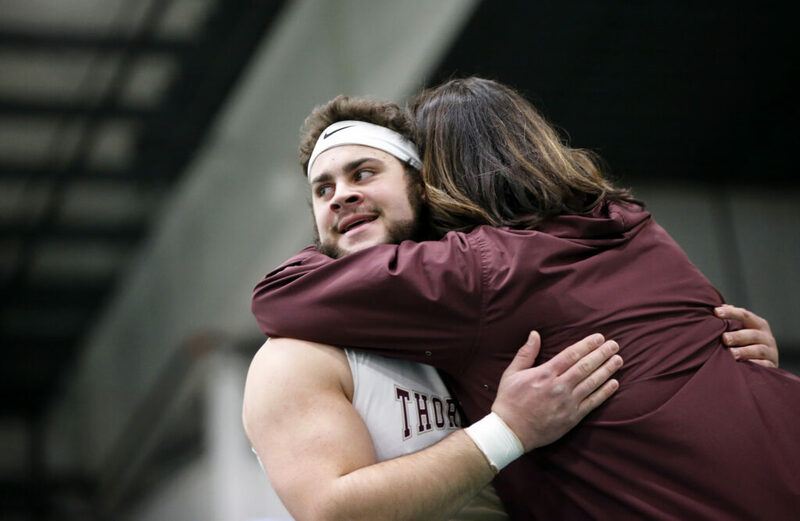 The crowd caught on quickly and sound reverberated through the University of Southern Maine Fieldhouse Saturday as the Thornton Academy senior placed a 12-pound weighted ball to his neck, whirled twice and uncorked a toss unseen in these parts for more than four decades. 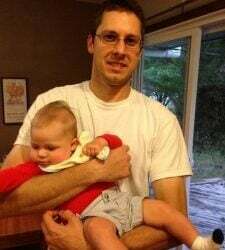 Audible gasps and shrieks escaped as the shot put rose on a high arch before finally plummeting to the ground, exactly 63 feet from the edge of the circle vacated by Montano, who at this point was running toward throwing coach Lisa Huntress for a frenzied embrace. 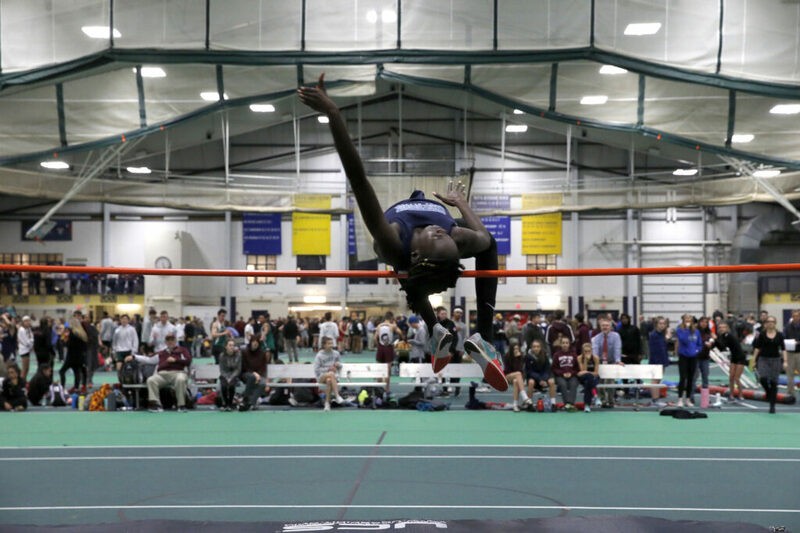 The oldest indoor track and field record on the SMAA books – a toss of 62 feet, 1 inch by Ed Bogdanovich of Portland in 1977 – had been eclipsed. 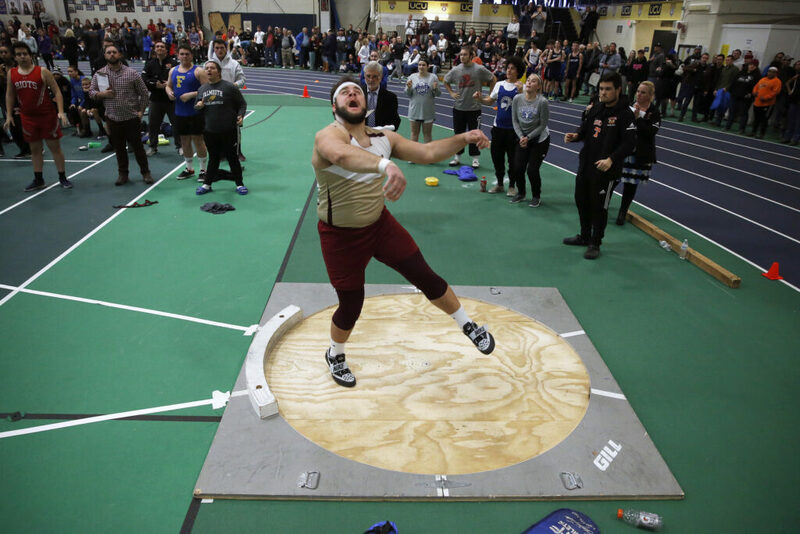 Montano still had three throws remaining, and his final toss carried 62-4¼, but the record was now his, and that was the important thing at the SMAA championship meet. “It is so rare,” Huntress said. “I mean, 50s are really good throws. So to get to that level of it, you have to know what you’re doing. This isn’t something where you get to be a muscle and put it out there. Montano’s record may have been the most significant, but it was hardly the only one set Saturday. 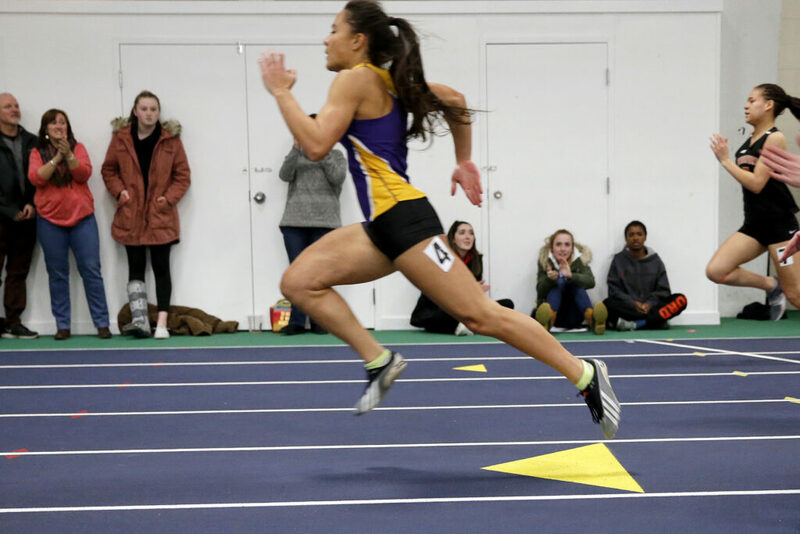 Among girls, Victoria Bossong of Cheverus set records in three individual running events in the junior division. 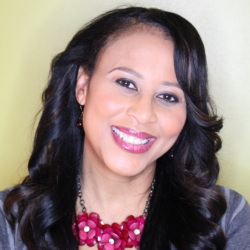 She won the 55-meter dash in 7.39 seconds, the 200 in 25.70 and the 400 in 57.05, lowering her own marks each time. 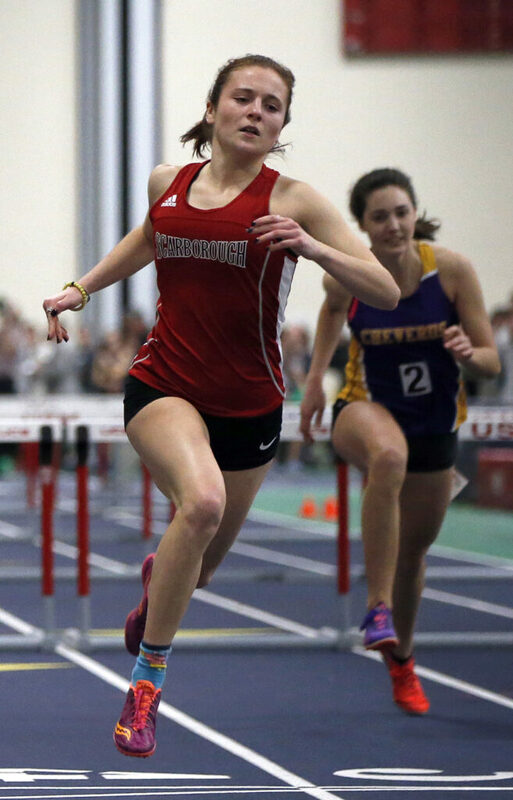 In the senior division, Emily Labbe of Scarborough did likewise in the 55 hurdles to 8.43 seconds and Nyagoa Bayak of Westbrook raised her own high jump bar to 5 feet, 11 inches – after missing twice at 5-9 – and extended her triple jump record to 38 feet, 2¼ inches. In the junior long jump, Rori Coomey of Marshwood soared a foot past her previous best to win with 17-6. For the boys, Jarret Flaker of Scarborough pulled off the same record triple as Bossong, only in the senior division. He ran the 55 dash in 6.48, the 200 in 22.49 and the 400 in 50.45. 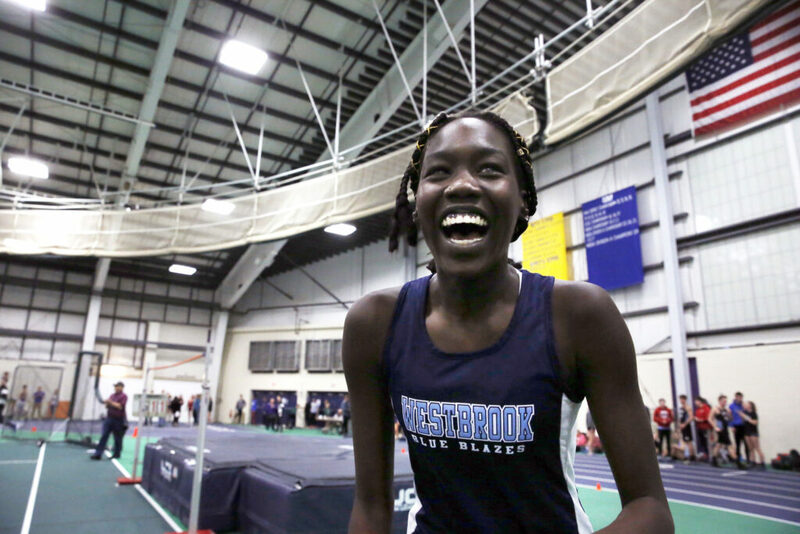 Elsewhere in the senior division, Mahamed Sharif of Westbrook missed her personal record by 3 seconds but still came away with the SMAA record of 1:57.88 in the 800. Bossong and Flaker weren’t the only triple winners. Kate Tugman of Gorham won the senior 800, the open mile and 2-mile races, and was named female competitor of the meet. Flaker, who also anchored Scarborough’s 800 relay to victory, was named male competitor of the meet. 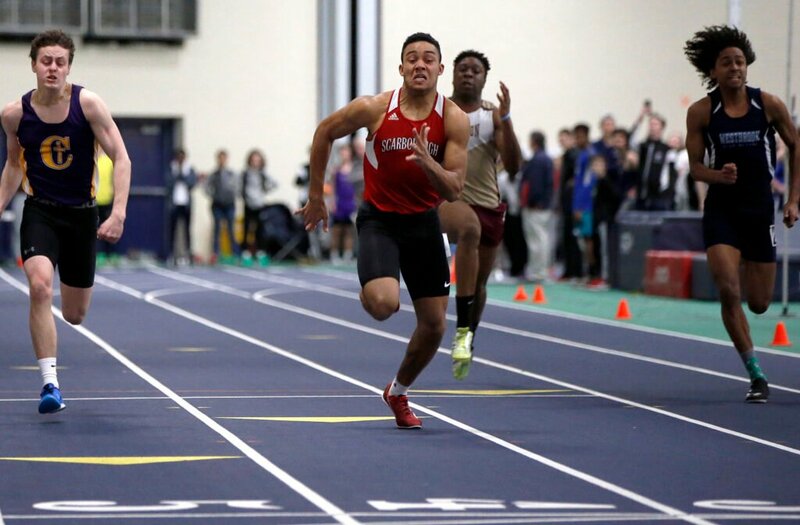 Teamwise, the Scarborough boys ran their streak of dominance to a full decade, winning their 10th straight SMAA title with a total of 216 points, more than double that of runner-up Falmouth (96). Thornton Academy was a close third at 94.5 followed by Noble (67) and Deering (63). The girls’ meet was in doubt until the final 800 relay. Thornton edged Gorham 110.5 to 107.5 with Cheverus third at 103 followed by Bonny Eagle (90) and Marshwood (85). 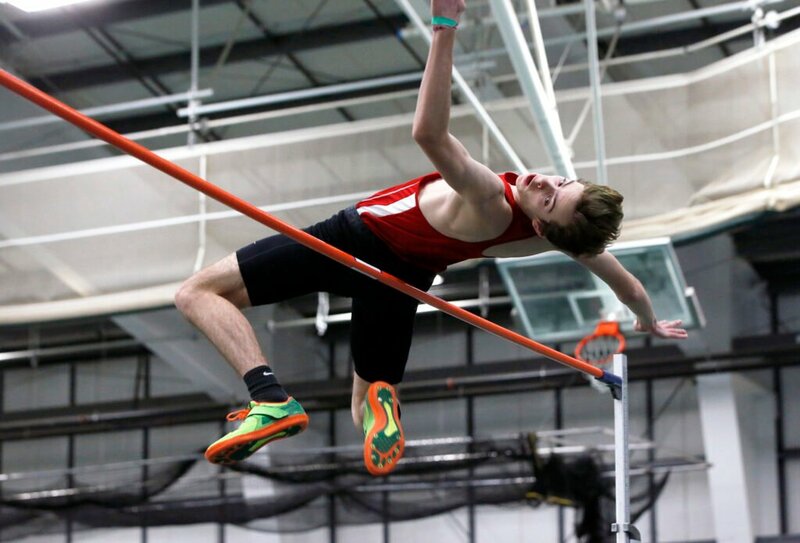 Among juniors, Ryan Gendron of Gorham nudged the junior high jump mark by a quarter-inch to 6 feet, ½ inch and Andrew Farr of Gorham won the 200 in 22.31 to erase a mark set by Flaker two years ago. All told, athletes set 14 individual records, nine on the track and five in field events. “People were feeling it today, I guess,” Bayak said.